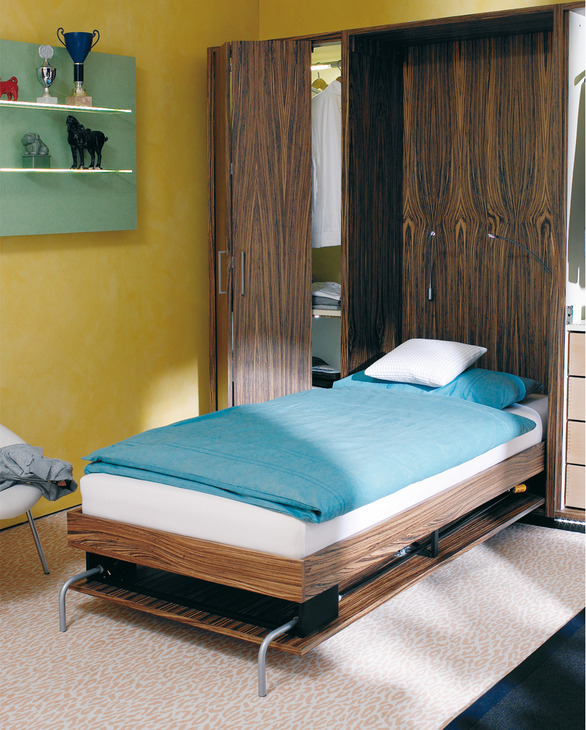 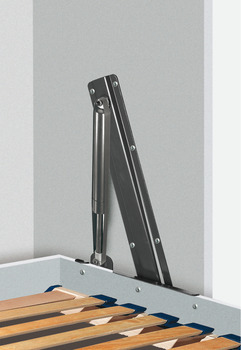 It is essential for foldaway beds to be secured against tipping, according to EN 1129, (check the floor suitability). Two safety stops are enclosed with every fitting set. 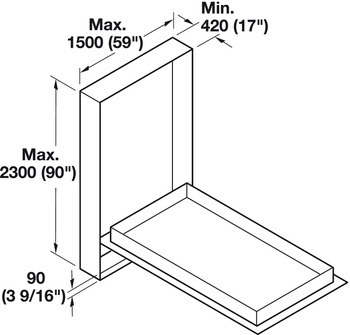 Internal cabinet width= Mattress length + bed frame thickness (x2) + 2 1/8” (54mm). 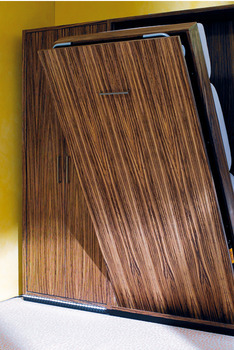 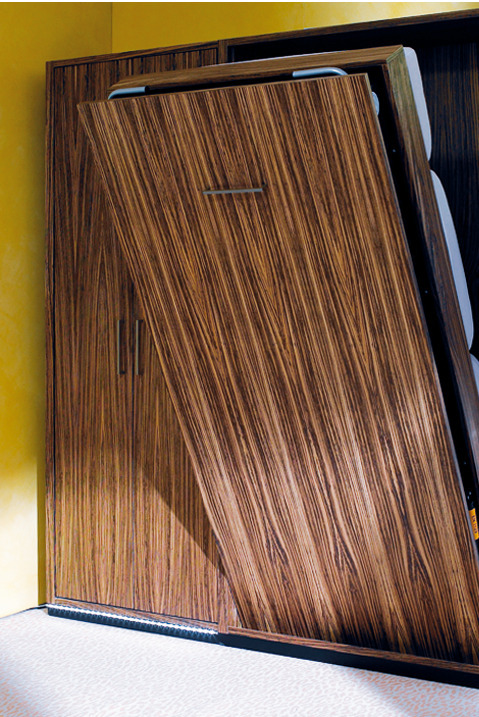 A gap of 3/16” (4mm) is required on all sides between the cabinet and front panel. 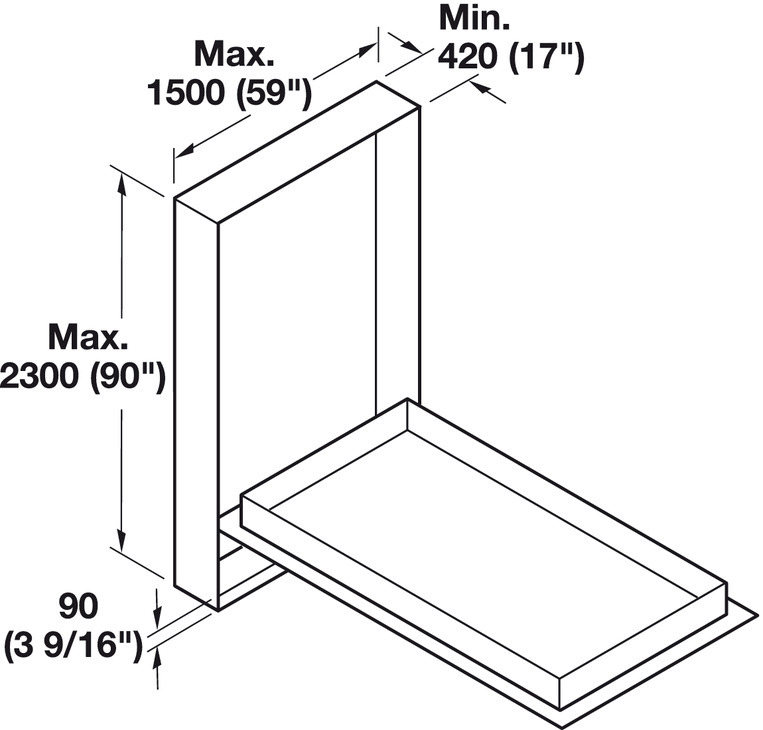 Gas pistons, angular feet and retaining straps need to be ordered separately.